Home › children › Is Music Necessary In Child Development? Is Music Necessary In Child Development? Children these days have been exposed to music since the early years. 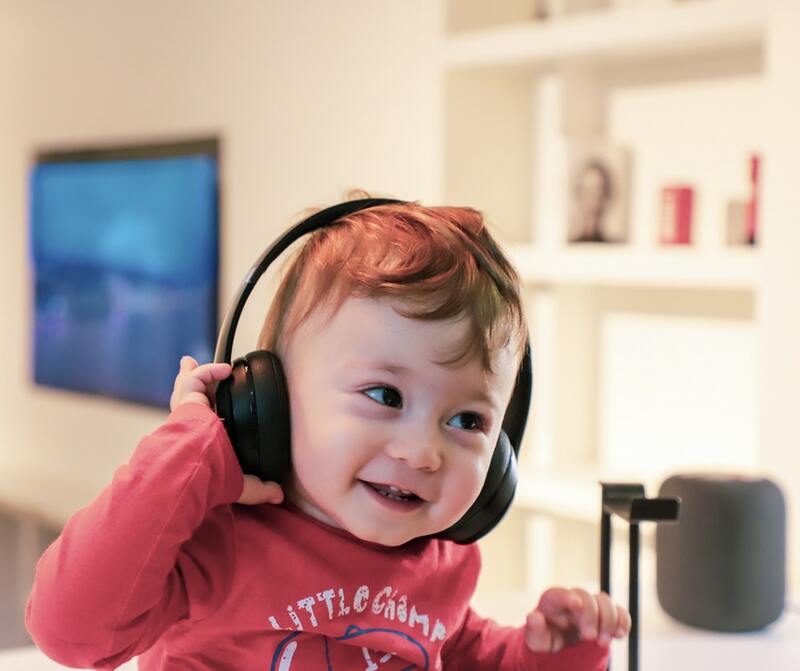 Parents sing lullabies to their babies, toys play music to soothe kids, and YouTube channels deliver plenty of music experience to children anywhere. Some parents-to-be are even exposing their unborn children with classical music in the hope that their children will become smarter. However, is music a necessity in child development? It can be hard to find people who still think that music doesn’t play a role in child development. Everyone advocates it, so it must be good, right? Well, it turns out that … they’re right. Musical experiences in early years do have an impact in brain development. The University of Southern California (USC) Brain and Creativity Institute says that music accelerates reading and language acquisition skills. Another study by the National Association of Music Merchants (NAMM) Foundation discovers that learning musical instruments will improve children’s mathematical learning. That sounds like something that many parents will love. If you’re not the kind of parents who prized academic achievements above all else, guess what? Music is also great for improving a child’s social and emotional skills. Not only that, kids who love dancing to the tune are improving their motor skills while they’re at it. But too much music is bad, right? Of course, it is. That’s why you should overdo anything. For infants, for example, you must stay away from exposing them to loud background music. It’s too stimulating for them. Soothing and quiet background music is what you want. For toddlers, it’s all about improving their motoric skills. Let the young ones dance to silly tunes. Feel free to join them in the fun. Their toddler phase passes so fast and suddenly they’re already preschoolers. Preschoolers love to sing along. Children of this age love nursery rhymes with or without the music to accompany them. They don’t care much if they can’t pronounce the words perfectly yet or that their tunes are off most of the times. Children with special needs will also benefit from music. Even though music therapy is not as well-known as physical or occupational therapy it is no less effective when it comes to helping children with learning difficulties. Just like physical and occupational therapists, music therapists will need to evaluate the child to craft specific programs and goals. Music is used as the main tool to achieve those goals. Whether it’s improving the motoric, memory, or social skills, each session will consist of exploring songs, music, and also musical instruments. If your child has been following months of occupational or physical therapy sessions with little result, maybe there’s an ingredient mission from the session — music. You should look into music therapy as an alternative. Children have their own preferences on how to do things and special-needs children are no different. If traditional ways don’ t work, maybe a little music can help boost things up.